Top Gear brought the beauty of Patagonia to thousands last year, and it is clear why the show chose this secluded part of South America for their antics. It is home to stunning mountains, dramatic valleys, vast plains and mighty glaciers to drive on or crash into – in short, it is perfect for an adventure. Infinitely vast and empty, Patagonia stretches all the way to the Deep South of South America with settlements few and far between, making it a frontiersman’s dream with peaks to be mastered, lakes to be dove and wilderness aplenty to be conquered. A typical trip to Patagonia starts in Buenos Aires (the last chance for the comforts of technology and luxury) before diving right into the heart of backwoods exploration. The landscape varies greatly from area to area – a drive in Patagonia could take you across the desert (seventh largest in the world), along the endless icy tundra of Parque Nacional Los Glaciers or even through one of Patagonia’s beautiful, temperate rainforests. Bring a pair of binoculars (and a few beers to pass the time) and you can have your own David Attenborough experience; Patagonia is home to a massive variety of species both in the wilderness and offshore. The Patagonian countryside is home mainly to Guanacos (think Llamas, but tiny and able to run 40 miles an hour), whilst Martillo Island at the southernmost point of Argentina houses a large colony of Magellanic Penguins. Most visitors to Patagonia book a tour of the region but if you fancy yourself a true Bear Grylls type just get hold of a car, a map and plenty of supplies (help is a far cry here), and make your own voyage into the great unknown. A mammoth national park made up of mountains, lakes and sub-Antarctic forest, the Parque Nacional Los Glaciares is perfect for a taste of a very different South America, away from the heat and crowds of the north. Located near the Chilean border, the park is split into two sections accessible by gateway towns to the North and South. Barren and peaceful, human settlements are few and far between so be sure to stock up before starting any journey, or risk being caught short in the wilderness. 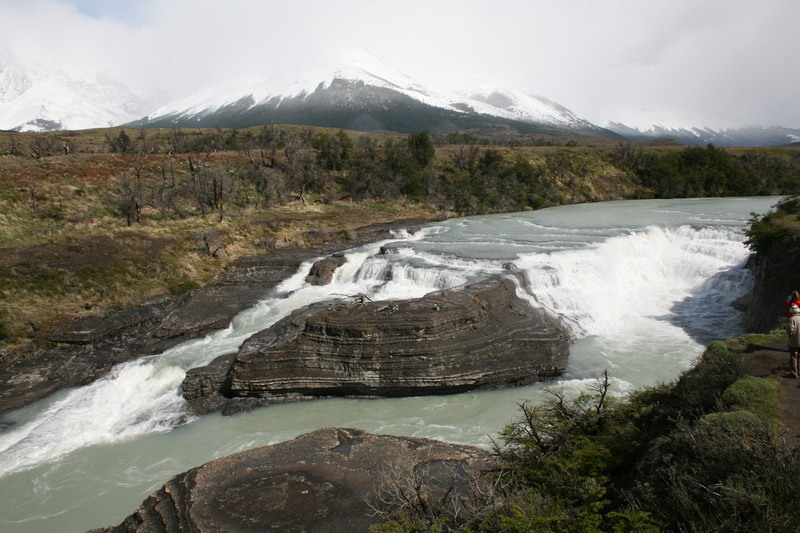 Visitors are advised to journey via El Chaltén, an outpost town in the northern section of the park which has been hailed as the “trekking capital of Argentina”. The perfect starting point for a near-Antarctic trek and a welcome sight when the weather drops to near unbearable levels, El Chaltén offers accommodation to weary travellers and those with a bit of cash to burn can enjoy a dip in the spa in town, with authentic Thai herbal sauna. Daylight hours in the park range from as little as eight in July to as much as 16 in December, so picking a time of year to travel is crucial for travellers looking to catch it at the height of its beauty. The northern part of the park is prized for its hiking and mountain climbing, especially along the Fitz Roy mountain range. Conversely the South is best seen via boat, navigating the glacial waters to get to the immense Perito Moreno glacier, where you can disembark for a cheeky slide across the ice. Sitting at the foot of the Andes, Bariloche is where South America goes to cool off. The kind of ski-resort town that would serve the perfect backdrop for an 80’s John Hughes movie about plucky teenagers overcoming adversity to beat the rich kids, Bariloche is a favoured resort for much of South America’s student masses looking to get away from the classroom and have their own Snow Day adventure. Cerro Catedral is the biggest ski centre in South America, catering perfectly to snow-sports fanatics looking to tackle the slopes. Come summer time the quaint neo-Bavarian town is a staging post for the many hikers, kayakers and explorers that take to the Bariloche National Park. Hiking into the scenic Andes for a day or two of rugged survivalism is undoubtedly the best way to build up a large repertoire of brag worthy gap year stories, but we couldn’t blame you for sticking around and soaking up the creature comforts first; Bariloche is the chocolate capital of Argentina and has a surprisingly well developed food scene for somewhere that is quite literally in the middle of nowhere. As Bariloche is primarily a ski resort there is usually plenty of room in the many hostels come summer time, which helps to keep costs down.